A statement of support with the hunger strikers was agreed at the Dundee Trades Council meeting. After the meeting, members and friends posed for a photograph with a Freedom for Öcalan flag, taking up the message of the international struggle supported by last year’s Durham Miners Gala. 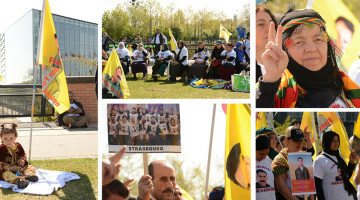 “This open meeting of Dundee Trades Union Council and friends sends support to the Kurdish hunger strikers and their call for an end to the isolation of Abdullah Öcalan. We understand that such isolation is deemed a form of torture and that it is outlawed by international law. 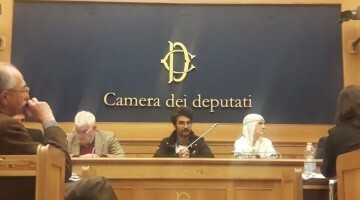 We call on the European Committee for the Prevention of Torture to carry out its fundamental duty and visit Öcalan in prison, and for our elected representatives to do all in their power to see that pressure is put on Turkey to comply with human rights legislation. Peace in Kurdistan in London. The first hunger striker was Leyla Guven, a Kurdish MP and political prisoner in Turkey, but there are now over 250 people on indefinite hunger strike in Turkish jails, and across the world. 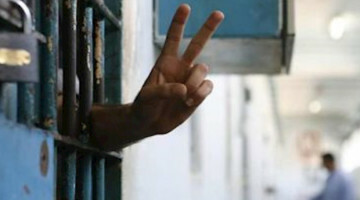 A hunger strike is an action of last resort, only taken when the world refuses to listen.